Blanc \ Blanco, Summer 2013 Physical / Philosophical / Environmental. [culmination performance of Seminar with Clifford Owens], Pioneer Works, NYC. 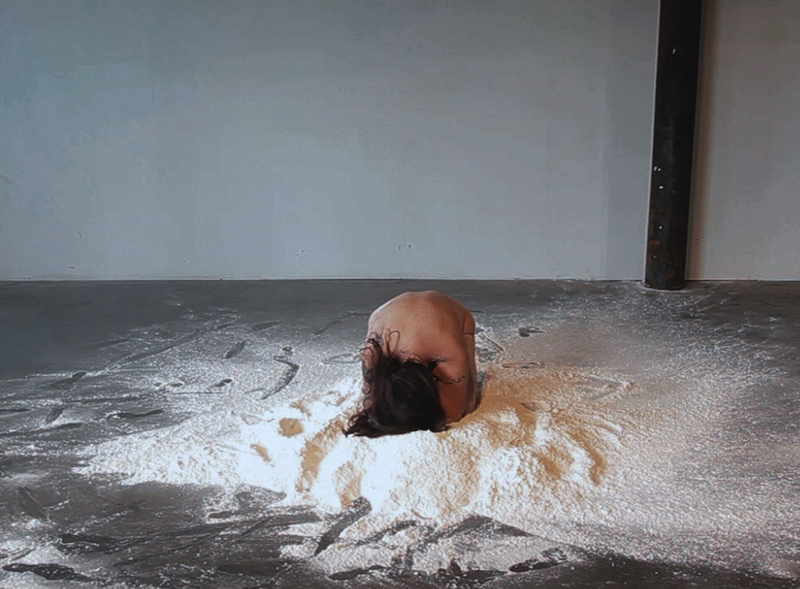 The body, my body, the latino body, the embodiment of change and progress During the performance, I disseminated 100 pds of flour with my body throughout the grounds of Pioneer Works as commentary on the artists’ role within gentrified communities and, how as a urban latino artist, I embody both the gentrifier and the gentrified.